In an opulent city of the future, a mysterious techno-baron controls the fate of the world. But, even with his vast riches and power, the black-clad figure known as Nor cannot stop the hand of death. Or can he? His thoughts are consumed by his latest discovery: a crash-landed Predator ship. Its his belief that Predators hold the key to eternal life. 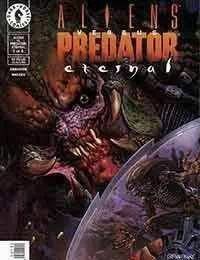 But even if he stands before the answers he seeks, is he willing to go through the Predators deadly Alien cargo to get it?